I love the zipper on the tunic! You gotta love this web site, I just saw a real Eye of Agamotto and a guy in a Guardian suit.You guys are awesome. Nice pages from Generations Ryan. I especially love the 19 second Batman sketch. What convention did you get that from and year? Gerry, love the Doctor Strange costume. Ryan, that BOTD page, did JB ink that himself? 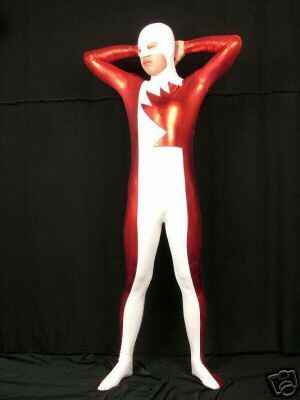 LOL, Ryan that's a funny version of Guardians suit. Although they've -missed- the "stem" part of the leaf, 'n' gloves! I'm having a hard time finding the costume again. Looks like the dealer has moved on to more fetish-oriented stuff. Darren, I believe Dan Green was on inks for that issue of BotD. Hey, I PM'd you a day or two ago, did you get it? If not, would you mind emailing me at ryanpmaxwell at Yahoo dot com please? Hero); I can't find any from the above costume maker. Weird...I did get an email from you Ryan, and I replied but it was a different email addy than the oe you supplied here, this one had "mortgage" in it! Ryan maybe someone on here could help? My first new art day in a little while. 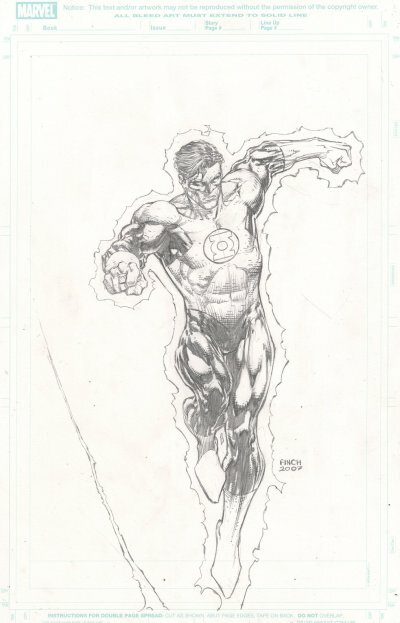 Green Lantern by David Finch. Gil, very nice Finch Green Lantern. While this piece is not new to me, I have never posted it on the website before. I did just add it to my comic art fans gallery. Since it's a JB page, I figure you guys might be interested. Very nice Paul. Love seeing Namor fight Nazi's. I really wish JB could do the Invaders. Great page, Paul! I loved that story arc. Love seeing Namor fight Nazi's. Ain't no better bad guys than the Evil Nazis!! I dedicate this next piece to fellow forum member, Monte Gruhlke. Paul, your CAF is so good it makes me sick to see i've got no JB pages or sketches...i seriously need to get a JB artwork, or else find Ari's home address and steal something..